← You can fix anything …. 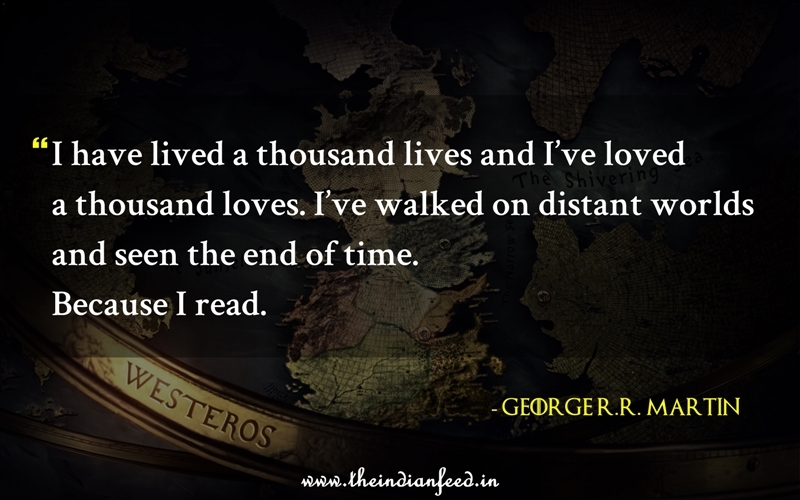 I have lived a thousand lives …. This entry was posted in Writer and tagged George R.R. Martin, I have lived a thousand lives, Quote, Writer. Bookmark the permalink. sounds like a traveller. there is nothing like it. Yes and I am currently back inVenice, courtesy of Donna Leon.